It’s time for ‘Japan by Prefecture‘ again! This is the series that aims to provide the highlights of each prefecture of Japan, along with my personal favourites and suggestions from readers. This week, we’re looking at Fukui (福井県). Fukui Prefecture is part of the Chubu Region (中部地方). 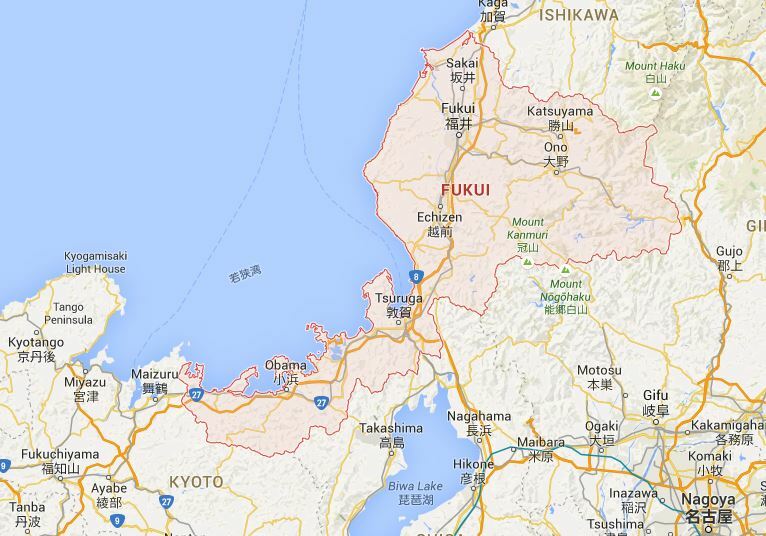 I’ve actually never been to Fukui, but I hear about it all the time from my friend Sophie who used to live there. 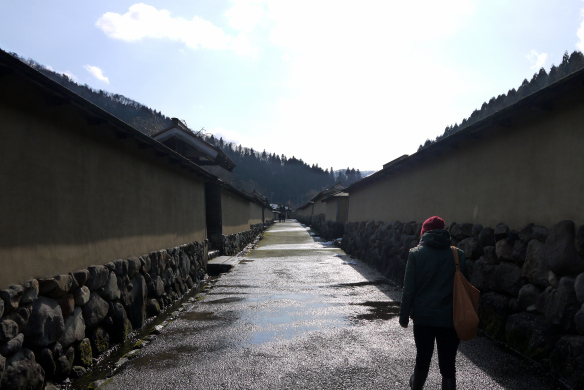 Check out her blog: Postcards from Fukui. Here, Sophie recommends the top 10 places to visit in Fukui and shares snippets of her life living in Fukui Prefecture. The capital of Fukui Prefecture is Fukui City (福井市). 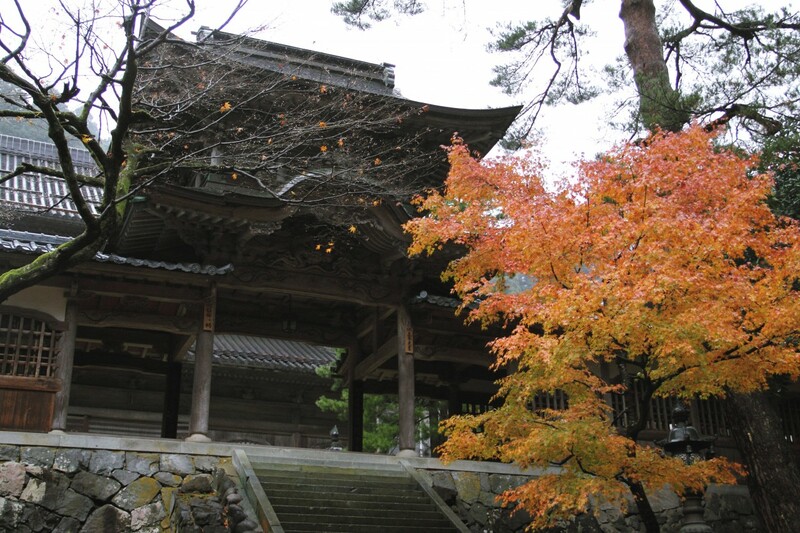 The city is most famous for Eiheiji (永平寺), a temple which is the headquarters of Soto Zen. I’ve heard lots of really good things about Eiheiji and Zooming Japan also recommended the temple in last week’s comments. Eiheiji was founded in 1244 by Dogen Zenji (道元禅師). Dogen Zenji was the Buddhist scholar who introduced Soto Zen to Japan in 1228. The temple complex consists of more than 70 buildings and structures, connected to each other by covered walkways. It is actually possible to spend a night or two at Eiheiji and live with the monks who reside there, but this is not really an experience for tourists – rather something for someone who is really looking to learn more about Buddhism and the inner workings of temples in Japan. Another, slightly unusual, attraction in Fukui Prefecture is the Fukui Prefectural Dinosaur Museum (福井県立恐竜博物館), recommended in last week’s comments by Japan Australia and Kei. 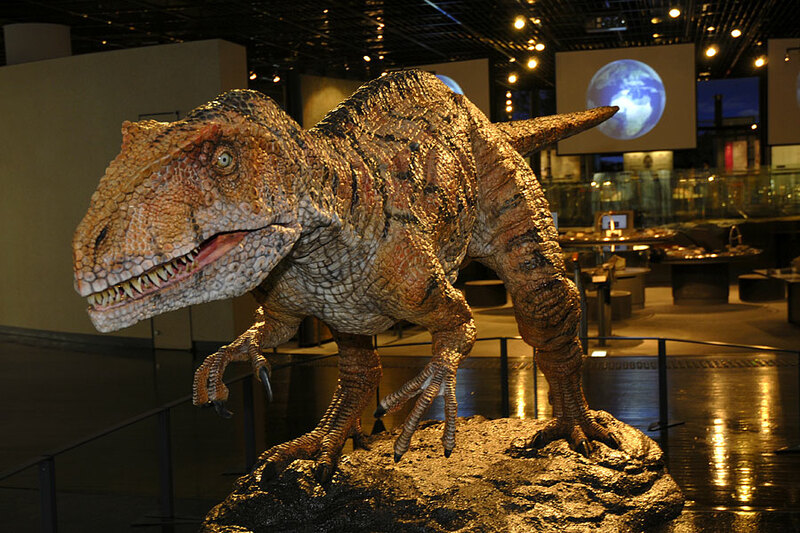 The museum is located in Katsuyama (勝山) and is the only dedicated dinosaur museum in all of Japan. Apparently it is also one of the “World’s Three Great Dinosaur Museums” (source). Katsuyama is the centre of dinosaur research in Japan and home to the country’s largest excavation site which is just a few kilometres from the museum. 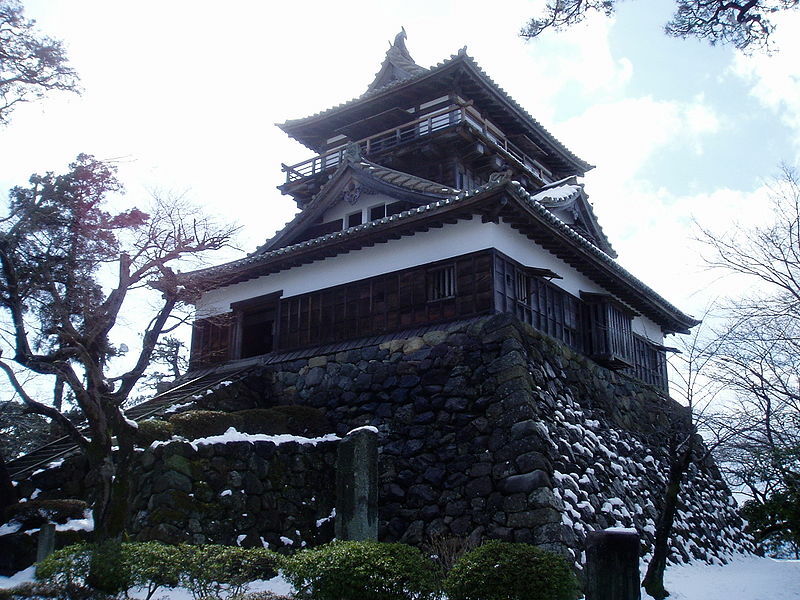 As Zooming Japan also mentioned last week, Fukui Prefecture is home to a number of interesting castles, including Maruoka Castle (丸岡城) which is the oldest standing castle in Japan, built in 1576. The castle is also known as Mist Castle (霞ヶ城 / Kasumi-ga-jo) due to the legend that whenever an enemy approaches the castle a thick mist appears and hides it. If history is your thing, another interesting site to visit in Fukui Prefecture is the Ichijodani Asakura Clan Ruins (一乗谷朝倉氏遺跡). These are the ruins of the castle town of five warring lords of the Asakura family who ruled Echizen for 103 years. The castle town was founded in 1471. In 1967 excavation and research work started, and the town was once again discovered. Now, visitors can see old samurai residences, houses of merchants, and beautiful gardens. One final place I think is worth mentioning is Tojinbo (東尋坊). 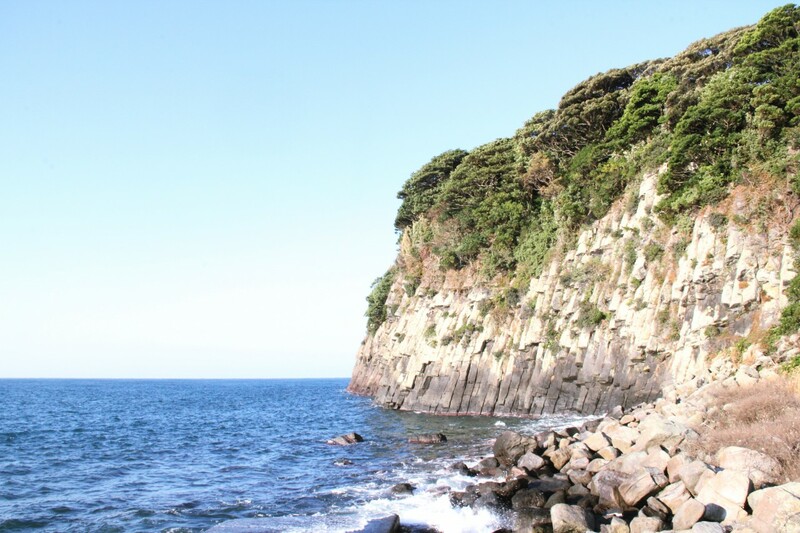 Known for spectacular views, and an alarming suicide rate, Tojinbo cliffs are a slightly strange but nevertheless beautiful tourist attraction on the Sea of Japan in Sakai (坂井), Fukui Prefecture. There are some legends surrounding the area. One legend has it that a corrupt priest from a local temple enraged the community so much that they dragged him into the sea at Tojinbo and his ghost still haunts the area. Another legend says the name Tojinbo was the name of a Buddhist monk. This monk was disliked by everyone and fell in love with a beautiful princess named Aya. Apparently the monk was tricked by another admirer of Aya and was pushed into the sea. Following this his angry ghost caused a violent storm once a year, until finally a memorial service was held for him. The majority of Fukui Prefecture’s popular souvenirs (or ‘omiyage’ / おみやげ) are craft-based rather than food-based. Fukui is known for paper making, and at the Echizen Washi Village (越前和紙の里) you can even have a go at making paper crafts to take home. Echizen also has a Bamboo Doll Village (越前竹人形の里) and a Pottery Village (越前陶芸村). Takefu in Fukui Prefecture is home to the Takefu Knife Village (タケフナイフヴィレッジ) which would be an interesting place to pick up souvenirs (just think about how you’re going to get them through customs first!). Of course, each town has its own snacks and sweets too, and one of the more interesting ones I’ve found are ‘Yes, we can’ cakes from Obama City (小浜市). Next week I will be writing about Yamanashi (山梨県). Have you been there? What’s good to eat there and what omiyage should I buy? What are the best sightseeing spots or hidden gems? Please do share your thoughts below, and join me next week for Japan by Prefecture! Yamanashi is famous for its grapes and peaches. It is also the centre of Japan’s wine industry. I dig that photo of Eiheiji. It’d be worth it going there for that alone! Great description.